Amid apprehensions that Sikh hardliners might object to the customary address by the Akal Takht Jathedar at the Golden Temple, Amritsar was turned into a fortress. 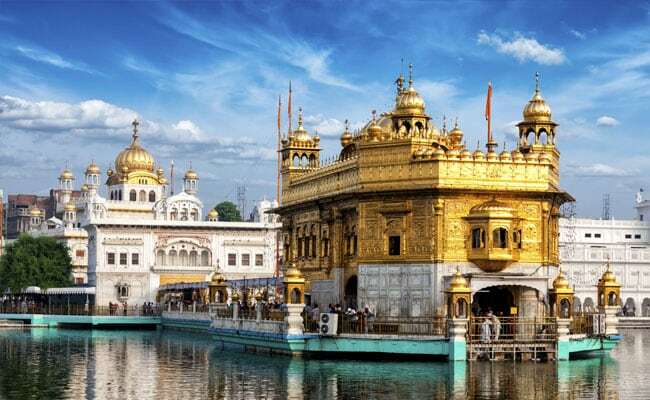 Pro-Khalistan slogans were reportedly raised by Sikh hardliners in the Golden Temple complex in Amritsar during the anniversary function of Operation Bluestar. A few radical organisations like Dal Khalsa have also given a call for a shut down in the city. Several people, including security personnel, died during 'Operation Bluestar', when the Army had to be called in at Amritsar's Golden Temple complex in June 1984 to flush out armed terrorists. The slogans were reportedly raised by some supporters of SAD (A) when the Akal Takht, the highest temporal seat for Sikhs, Jathedar Giani Gurbachan Singh started his customary address. The hardliners also raised slogans against the Jathedar. A dominant Sikh group, 'Sarbat Khalsa', also appointed "parallel" Jathedar Dhian Singh Mann who addressed a group of hardliners from the ground floor of the Akal Takht. He also accused former Chief Minister Parkash Singh Badal of interfering in Sikh religious affairs including in the working of Shiromani Gurdwara Parbandhak Committee or SGPC. Mr Mann said the SGPC chief Kirpal Singh Badungar had assured him on Monday that Gurbachan Singh would not be allowed to address the Sikh community from the Akal Takht, but Mr Badal, according to him, forced Mr Badungar to send Giani Gurbachan Singh to address the community instead of the head priest. Demanding the removal of Gurbachan Singh, Mr Mann accused him of hurting the sentiments of the Sikh community by accepting the apology of Sirsa-based Dera Sacha Sauda head Gurmeet Ram Rahim Singh. In September 2015, the Akal Takht had pardoned the Sirsa-based sect head for appearing in the attire of Sikh guru Guru Gobind Singh during a religious congregation. The Sikh community, hardliners, and various other outfits were upset over the move of pardoning the Dera chief without him making a personal appearance before the temporal seat of the Sikhs. The apology was later withdrawn after the objections were raised. Nearly 5,000 security personnle have been posted in Amritsar city to maintain law and order.